Looking to create a little extra space in your home? 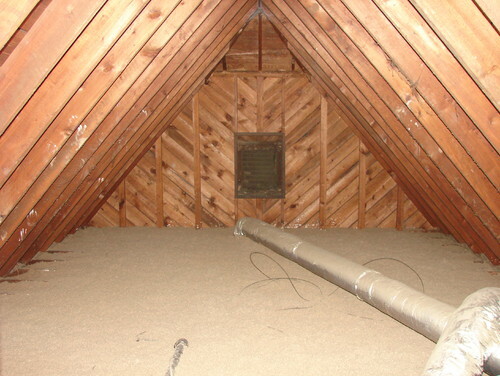 If you’ve got one, press your attic into service! 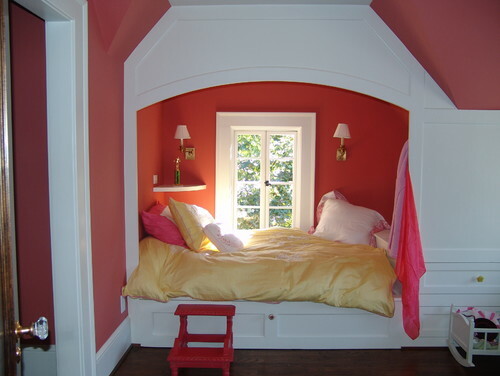 An attic, if well thought out, can become an extra bedroom, office, art studio, den, or even a separate apartment. Instead of becoming a repository for old Christmas ornaments and children’s toys, it can become an actual living space which will maximize your family’s enjoyment of home. Below, you have a typical, unfinished attic. This one happens to be in an Atlanta home. 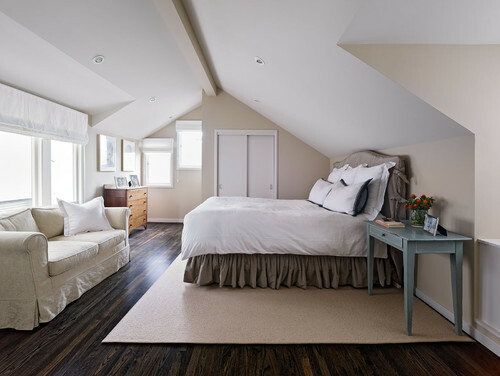 This Atlanta family knew they were going to need some extra space for their four girls, so they decided to convert their attic into a suite with two bedrooms, two bathrooms and a playroom. The architect moved the HVAC unit out of the attic and replaced a vent with a triple casement window. 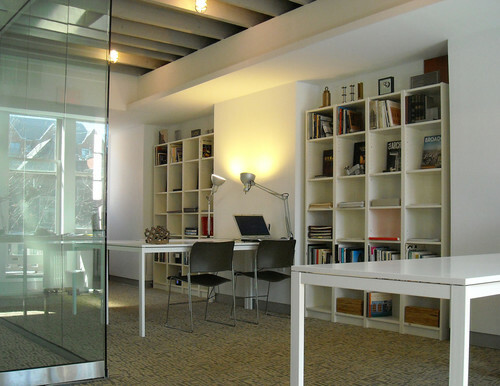 Look closely and you’ll notice how the architect cleverly made use of the available space, by using the higher ceiling areas as a living area for walking and standing. 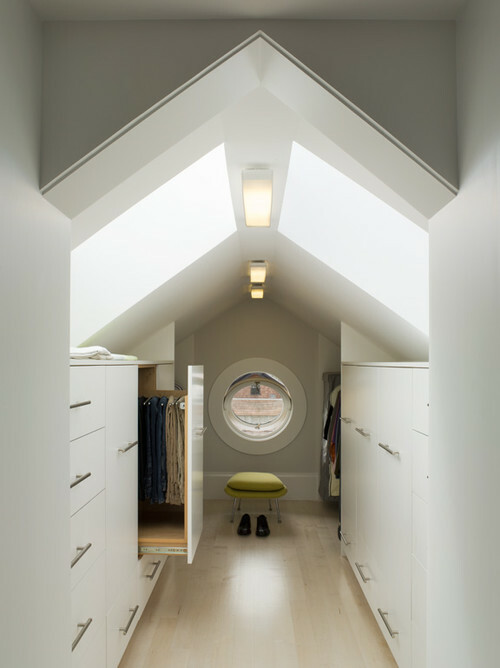 The built-in sleeping areas make use of the lower, awkward spaces of the attic and are surrounded by drawers, cabinets and closets that also make functional use of low, cubbyhole spaces. 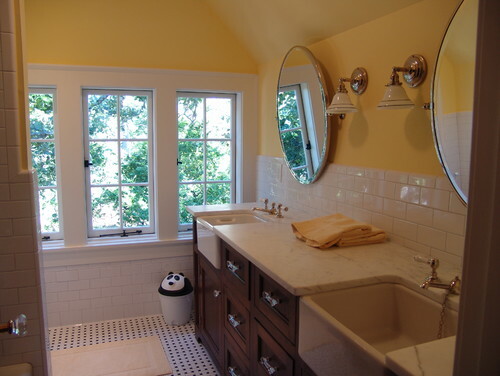 Two fully outfitted bathrooms were built into the large attic area. The total project renovation time took 7 months. First decide what the purpose of the space will be. Try not to make it work for too many activities. 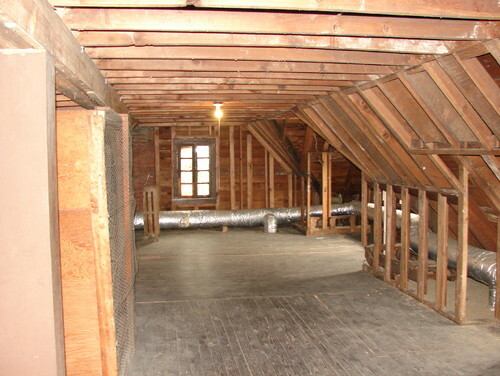 There’s more involved in an attic renovation than most people realize. You have to build a safe and comfortable stairway access and be sure the floor is strong enough to support added weight. HVAC and electrical lines may have to be installed or moved. So be prepared. Hire an architect. 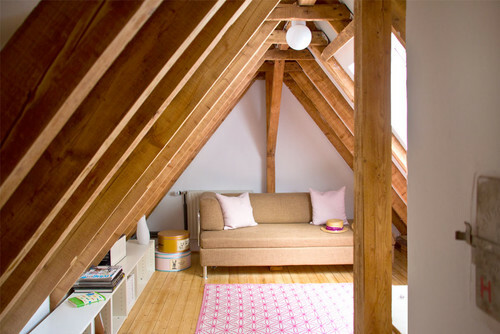 Because attic renovations can get complicated, this is probably one home project in which you’ll want to turn to the experts for help. Consider adding windows. These are likely to be skylights or dormers in the roof. The extra space will help open up and expand the space. Consider carpeting. It will help keep the noise level down on the floor below. Keep furniture low but not small. Furnishings should be comfortable enough for a good sprawl. This entry was posted on Tuesday, February 3rd, 2015 by preynolds and is filed under How To, Tips, & Advice. You can follow any responses to this entry through the RSS 2.0 feed. You can leave a comment. 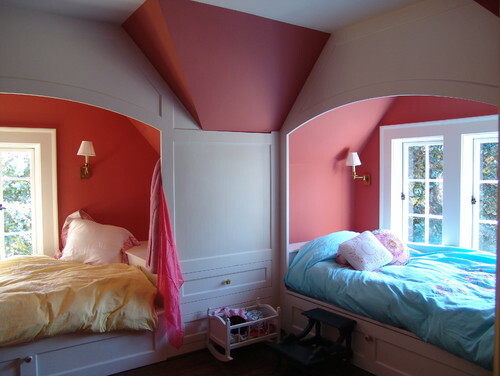 Your attic design ideas are really perfect. 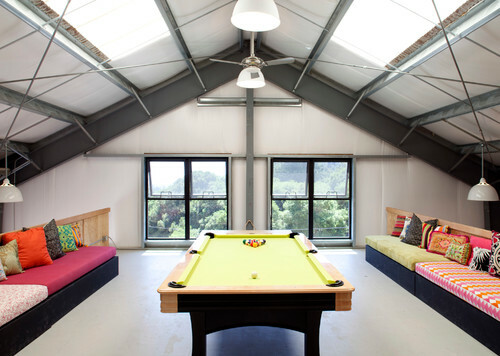 This is exactly what I really need to give my attic a new view and make use of it. As I am going to make a simple stock room of old furnitures, perhaps I can apply one of your idea instead this year. Thanks for these ideas!